Wrexham Glyndŵr Students’ Union has continued an award-winning streak with a national award from the NUS for a campaign which aimed to tackle and raise awareness of period poverty. At the NUS Awards 2018 last week, the WGSU team picked up the participation award for its period poverty campaign – which brought staff and students together to help provide sanitary products for those in need. Speaking after last week’s awards ceremony, WGSU CEO Sarah Ellis said: “I am delighted that our period poverty campaign has been recognised nationally and it’s great to see a campaign which drew so many people together recognised by the NUS. 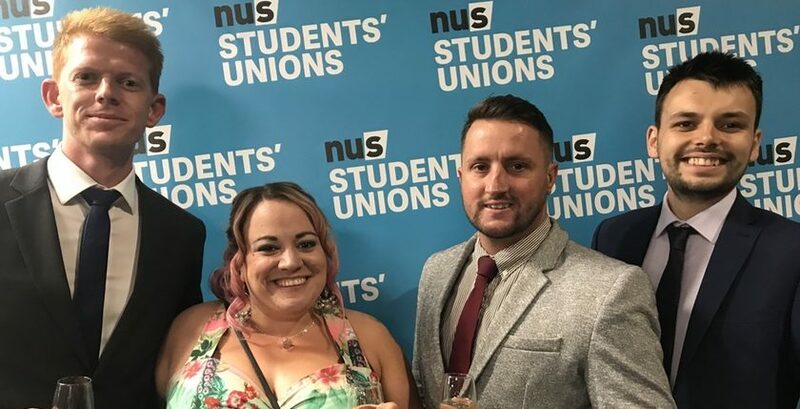 “This award from the National Union of Students follows on from our award earlier in the year from the Welsh NUS, where we were recognised as the best Higher Education Student Union in Wales. The run of awards for the Union demonstrate its progress since September 2015, when it was a Guild and a department of the University. As well as receiving the Participation award, the success of the Students’ Union in improving sustainability on campus was also marked this week. 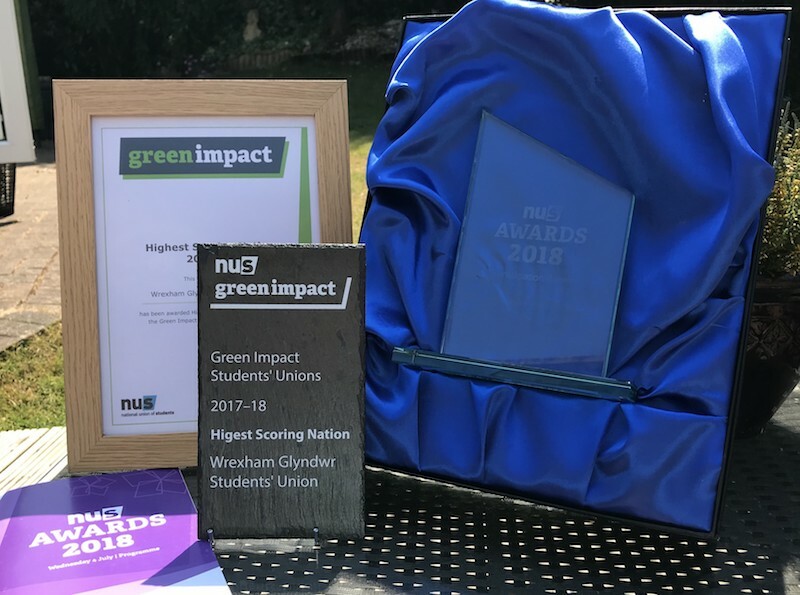 The WGSU team’s success in the Green Impact scheme – where the Union moved from a ‘good’ rating right up to an ‘excellent’ one – received a Highest Scoring Nation award; the highest score from Wales, Scotland and Northern Ireland. Students’ Union President Angus Hamill-Stewart added: “Improving our work on sustainability and green issues has been very important and we are making great strides.